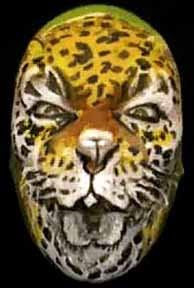 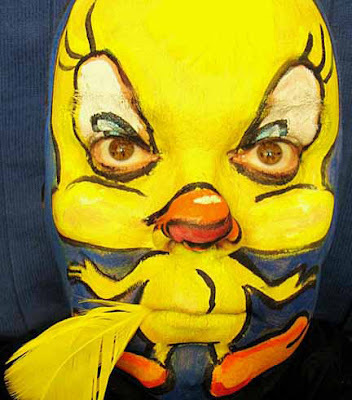 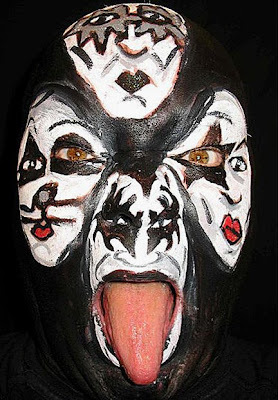 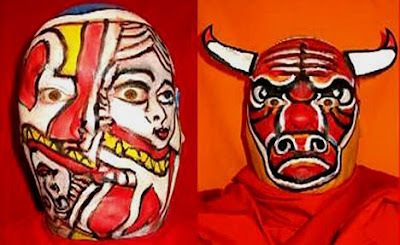 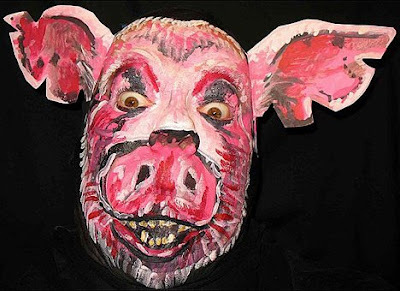 A man of many faces, creates some of the most incredible masks ever seen. 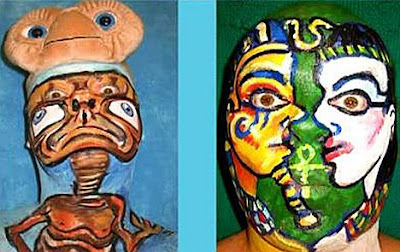 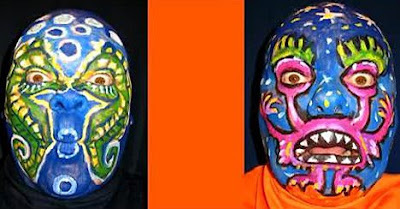 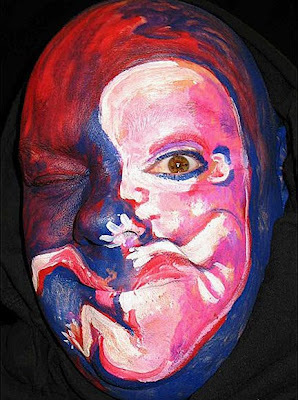 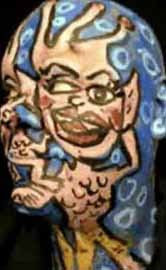 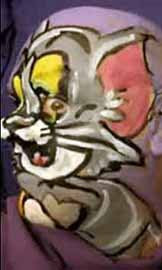 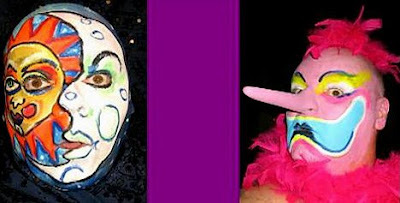 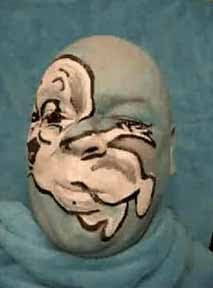 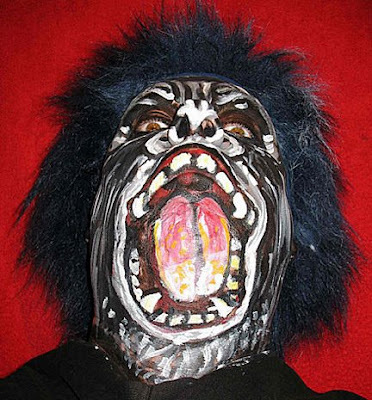 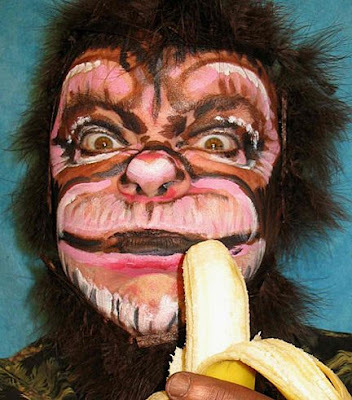 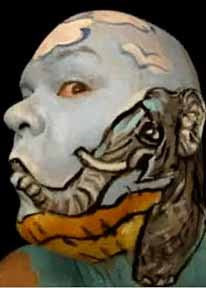 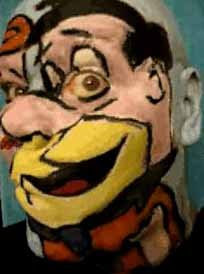 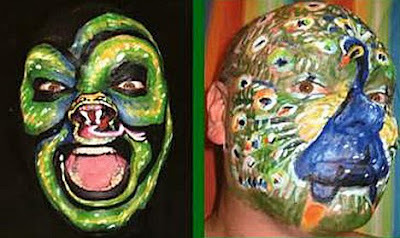 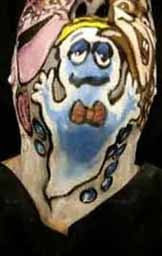 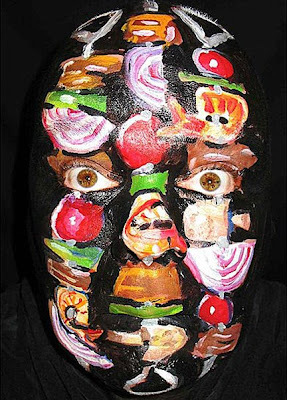 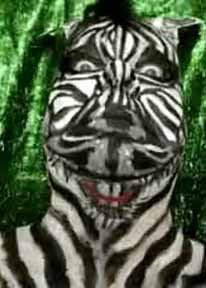 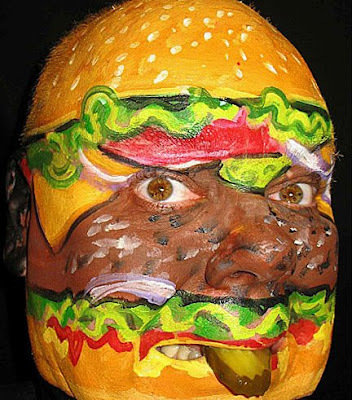 The eccentric face painter calls his creations “self-portraits” because he uses his own face as the canvas for his artwork. 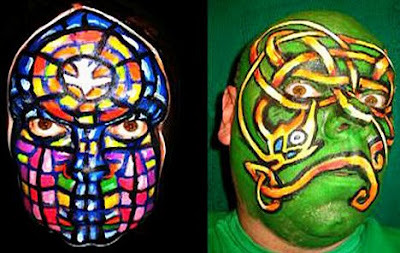 he 46-year old artist is halfway through his project to create a design for his face every day for a year, which he began in March after he was snowed in by 12 inches of snow and had to miss work. 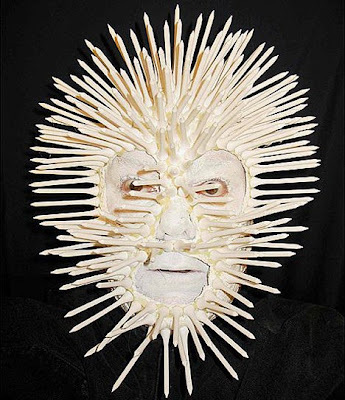 James got the inspiration from photo exhibitions of a picture a day. 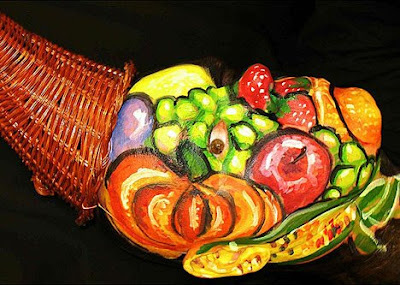 His 365 creations range from cartoon characters and animals to his favorite foods. 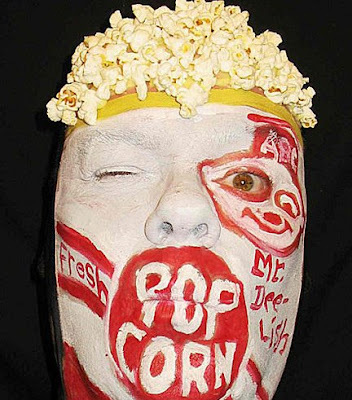 Kuhn uses real popcorn to add more realism to his popcorn box creation. 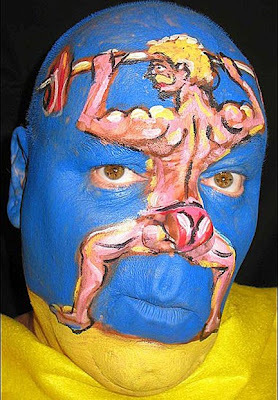 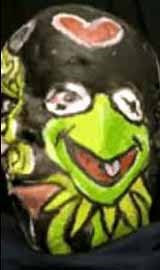 The Picasso of face painting has plastered his mug with a menagerie of images including Tweety Bird, King Kong, movie monster Hannibal Lector, zebras, and leopards. 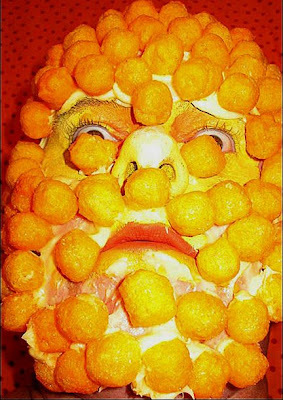 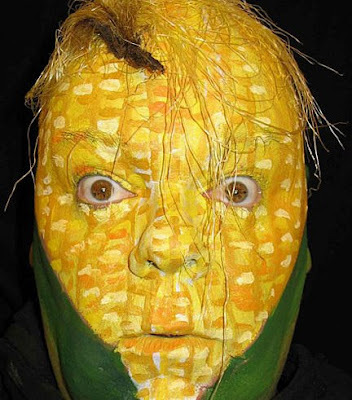 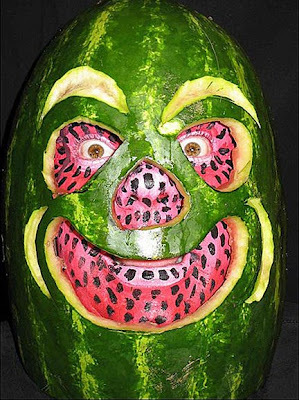 But perhaps most striking are those of food — transforming his face into a giant box of pop corn, a cheeseburger, pineapple, frozen TV dinner, shish-kebabs, and even a cornucopia. 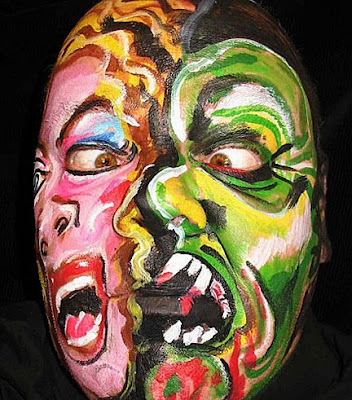 Dracula mask showing two screaming faces joined together. 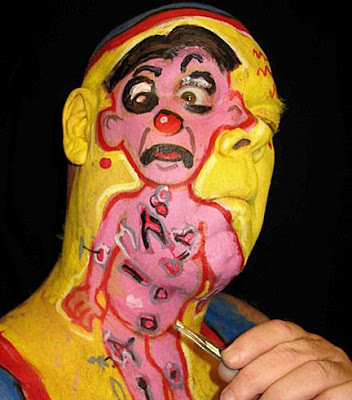 Based out of Three Oaks, Michigan, US, James takes his inspiration from anything, including children’s games, and loves to paint on everything, including flesh. 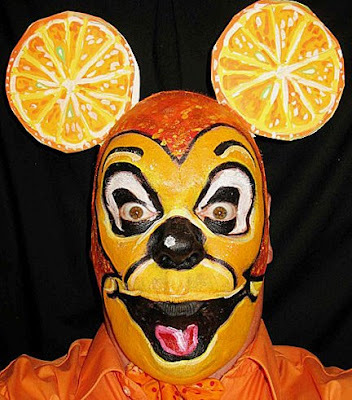 Kuhn does his own take on Mickey Mouse but on the theme of oranges. 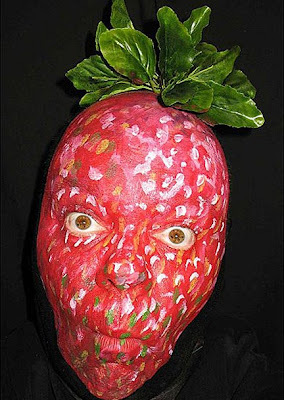 Mr Pineapple Head. 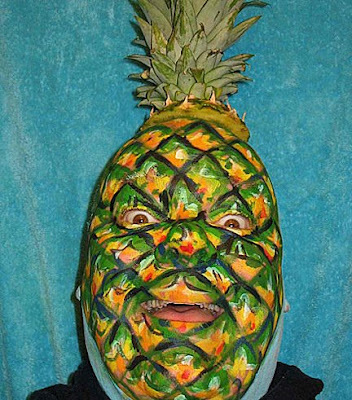 Kuhn even adds a real pineapple to the top. 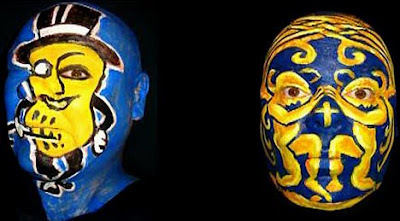 “I really have become totally obsessed with face painting and I think about what I can do next all the time.” James says on his blog. 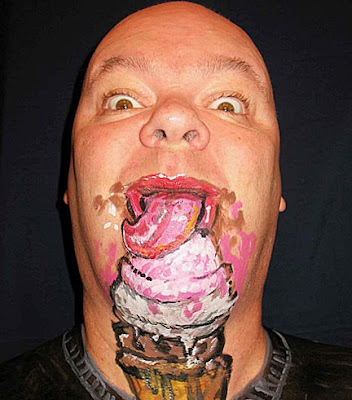 The artist says the worst part is painting the inside of his nostrils, as he ends up spitting them for hours. 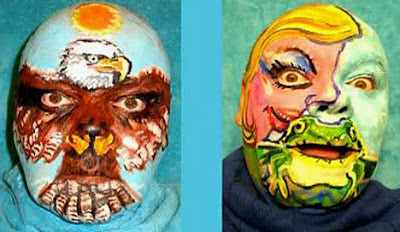 He says he’s been an artist all his life, and even drew pictures in his oatmeal as a child. 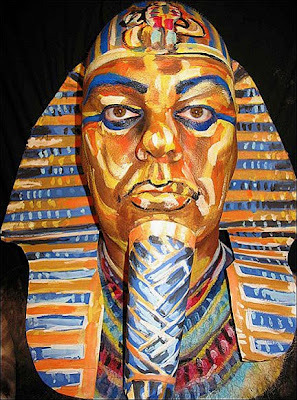 “I do show in galleries, but selling should never be your motivation for creating art.